If your thinking of a spectacular new Fort Lauderdale Condominium building that will set the standard of luxury in todays Fort Lauderdale Real estate market, Auberge Beach Spa & Residences sitting directly of a beautiful stretch of Fort Lauderdale Beach maybe just the right choice. Located just blocks numerous Fort Laudedale restaurants this Fort Lauderdale Condo sits on a quiet spot of Fort Laudedale Beach. The building itself will feautre 171 luxury condominiums and ammenties that will not compare to any building in the Fort Lauderdale Real Estate market. Read more about Auberge Spa and Residences a brand new Ft Lauderdale Condo due to be complete towards the end of 2017. Auberge Spa & Resdiences is current under construction on Fort Lauderdale Beach. With 171 condo units in two towers, the property promises to achieve a level of luxury never offered before in a Fort Lauderdale condominium. The world renowned Auberge brand will bring a spa, and 5 star restaurant to the site of the former Irelands Inn of Fort Lauderdale. 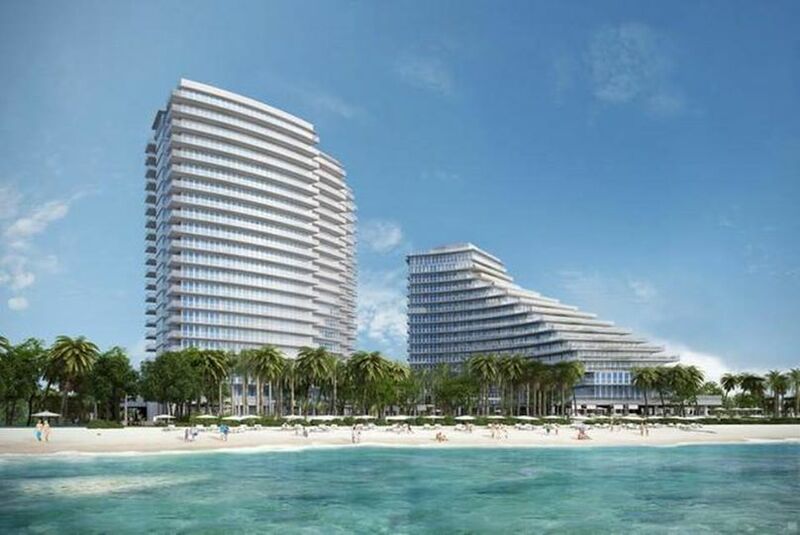 An art collection and landscaped gardens promise to bring to the owners of Auberge Spa and Resdiences a lifestyle of beach front living that will be the new standard of Fort Lauderdale Condominiums. Ready to take a look at Auberge Spa & Residences, call the team at Eric Miller and Associates - Keller Williams Realty Fort Lauderdale, "We're here to help" at Auberge Fort Lauderdale or with all your Fort Lauderdale Real Estate needs. Contact us directly at (954) 383-8170.